Do you lament purchases on tons of things you don’t need? Do you resolve not to do it again, only to repeat the same the following month? 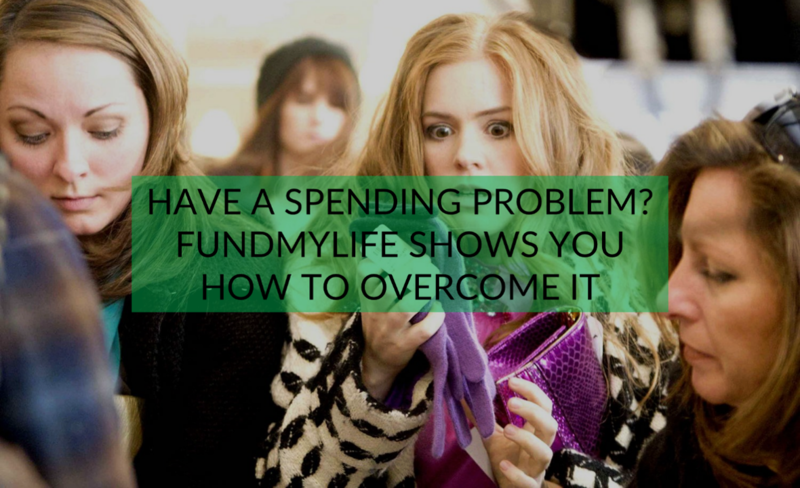 You might have a spending problem. As the first step, acknowledging that you have a problem is the first step. And as any problems go, they are solvable as well. Rather than walking around aimlessly and buying every single thing you see, a physical list forces you to focus on your intended purchases. Furthermore, the list will help you plan your purchases, especially when you have access to the cost of those things. This way, you can budget your money and be entirely conscious about the cost of things that you intend to buy. Discipline is key to reduce the urge to shop compulsively. Having someone who can you keep in check will be immensely useful. This person could be anyone, but most important it’s someone who doesn’t enable reckless purchases. Tell your friend or family to be strict with you and to stop you from purchases that you don’t need. Two heads are better than one, it’s much better to have someone to intervene if you’re going out of line. Impulsive or reckless spending is usually a symptom of a larger problem. One of the most common reasons for that urge to splurge is boredom, which can be addressed by picking up a hobby. Another reason is stress, which results in the popular term “retail therapy”. Emotional shopping is anything but therapeutic – at best it is a bad habit and at worst it is an addiction. It also leads to accumulation of unneeded purchases, clogging up your house. Alleviate stress via other means like exercising. The upside is that you keep yourself healthy as well. On top of avoiding the triggers, it is important to remove physical temptations. For example. having a credit card is useful but it is also an enabler when you are out there shopping. As such, leaving your credit card at home and bringing out only cash forces you to focus on the purchases at hand and nothing else. At home, remove all credit card details from your online shopping sites from your computer. Uninstall all of your favorite shopping apps on your phone. This will ensure that you won’t carelessly browse for products on apps, e.g., Carousell, Lazada, etc when you’re bored and end up purchasing something. Unsubscribe from mailing lists as well – take control and avoid sales emails. Making the conscious effort to sit on them helps. For large ticket purchases, it is all the more important to get feedback from your friends and family. That way, you can take the time to weigh out the pros and cons of the things that you were thinking of buying. Most of the time, you will realise that the bag you were eyeing wasn’t as pretty as you thought it was. Or perhaps, that vacuum cleaner that you thought was useful wasn’t as suitable for your home after all. Know anyone who spends recklessly and has immense urge to splurge? Reach out to them – you will be doing them a huge favor. It’s too late if they fall into a large debt that they can never recover from. Forwarding and sharing is caring 😉 Let us know what you’d like read about on our Facebook page! fundMyLife is a platform that aims to empower the average Singaporean to make financial decisions confidently. We also connect consumers to the right financial planners in a private and anonymous manner, based on their financial planning questions. Follow us on our Facebook page to get exciting updates and your dose of finance knowledge! Let us know what you want to know about finances or something that you wish your friends knew! SINGAPORE — If you are busy pursuing a doctorate, would you still work as a street promoter on the weekends? This guy will. Every weekend, Mr Jackie Tan, 28, a PhD candidate in biology at Nanyang Technological University, heads out to Orchard Road and neighbourhood estates to meet people on the streets to spread awareness about his financial planning website www.fundMyLife.co. “There is nothing to be ‘paiseh’ (Hokkien term for embarrassed) about, even if I am a PhD candidate and I promote my product on the streets. Having a PhD just means you slog in school for four to five years more than other people,” he said. Indeed, Mr Tan sees many similarities between being a scientist and an entrepreneur. On weekdays, after lab or classwork, the student scientist spends his evenings working on the website or meeting the stakeholders in the start-up, sacrificing leisure time and even sleep. As the co-founder of a financial planning portal, Mr Tan certainly walks the talk. A regimental money-saving machine, he hardly takes taxis, often cooks his own meals and goes for vegetarian food when he eats out because it is cheaper. He does not hold any credit cards, has no debts and has enough savings for a “rainy day”. This dogged determination — juggling a career as a scientist and a separate business — followed a family tragedy when Mr Tan was just 17. His father died of lung cancer after his family was unable to afford the treatment because the insurance bought was unsuitable. The harsh reality drove Mr Tan to work hard in school. 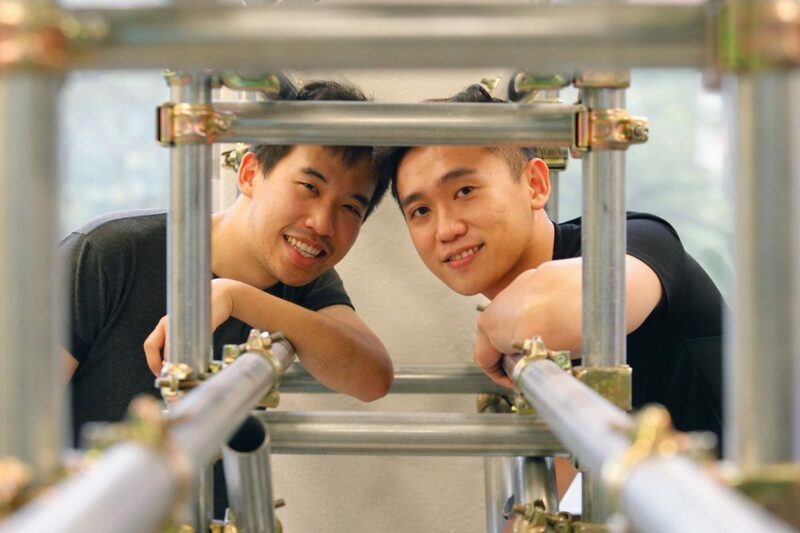 He gained entrance into the Faculty of Science at the National University of Singapore, but had to work his way through university by taking on part-time jobs in labs and giving tuition. The importance of good financial planning became a key principle that drove Mr Tan to go beyond his academic focus to help others in this area. Mr Tan and his co-founders — Mr Wesley Goi, 30, a PhD candidate in bacterial metagenomics at the National University of Singapore and Mr Matthew Lim, 33, a digital marketer and financial consultant — started developing the fundMyLife website last year and launched it in January this year. The trio had pooled their own savings and tech expertise to create the portal. Mr Goi, who taught himself coding, created the artificial intelligence platform that processes questions from customers and connects them to financial advisers. Besides directing customers to financial advisers best suited to their needs, fundMyLife also builds awareness of financial planning through conducting workshops. Although it has been operating for only six months, it has already turned profitable, with its user base growing 10 to 30 per cent month-on-month and revenue rising 30 to 50 per cent. fundMyLife declined to give absolute numbers. The business is getting more traction. Last week, fundMyLife held a financial literacy workshop for about 100 union members from the National Trades Union Congress. It is also looking to expand into Malaysia by the end of the year. Mr Tan also wants to help individuals and groups in society who are under-served, including single parents. For now, Mr Tan has no intention of quitting his day job, saying it helps support the business as a “buffer”. He added that there is no conflict of interest between his research studies and his business as work on the latter is done during his spare time. “People are usually afraid to try because they are afraid of failure and hence are usually less exposed to failing. When I fail, I let go and move on,” he added. This article first appeared on Today Online. Is That Coffee Killing Your Savings? Yes It Is. Written by Kartik Goyal, edited by Jackie Tan. This article is a part of a special series by fundMyLife content marketing interns from QLC.io. 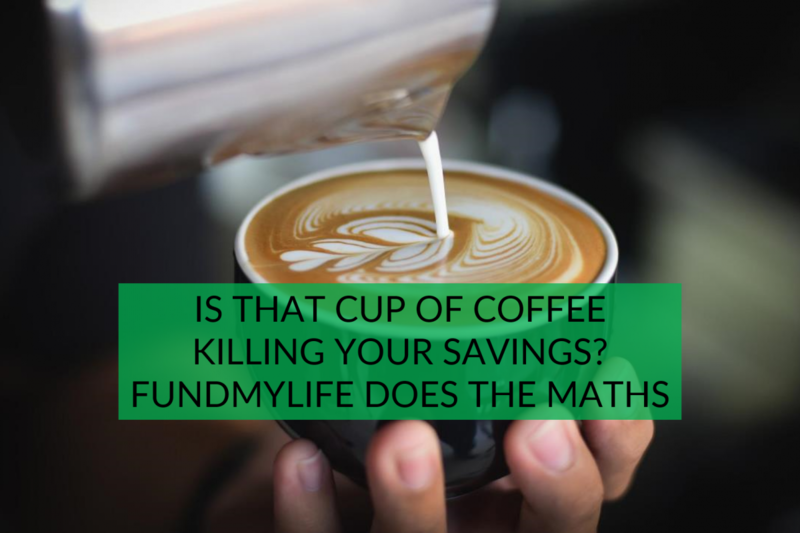 Coffee killing your savings? No way. Have you ever woken up to an empty wallet and a depreciating bank balance, in the middle of the month, wondering where all that money went? The culprit might be that seemingly harmless cup of coffee. While research suggests that too much coffee can kill your heart, too much of coffee will kill your wallet as well. According to a recent study published by Euromonitor, café hopping culture has been fueled by the rapid increase in the number of indie cafés in Singapore and by the change in perception of students and working adults, who see an SGD 6 coffee as reasonable. Elison Lim, Assistant Professor at the Nanyang Business School, attributes this trend to the onset of social media phenomenon such as “Instagrammable” food, hashtags, and the conversion of coffee from a stimulant to an obsession. However, it is highly unlikely for someone to imagine the impact of this little item on the wallet. Data gathered from multiple sources indicates that coffee and milk form the most expensive ingredients of a coffee and yet it costs a fraction of what you pay for it in a store. 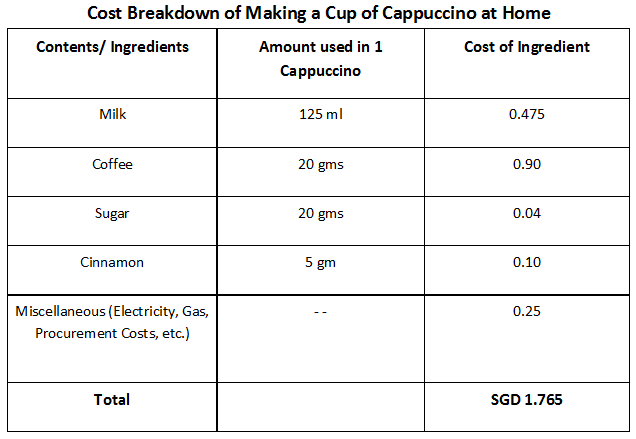 On average, a cup of cappuccino costs SGD 5 to SGD 8 in a café. Whereas, it costs around SGD 1.76 to make one at home. The graphs and calculations below might shed light on how much you might be spending. Here’s how much you spend when you make a cup of cappuccino at home. What happens if we express the components in a pie chart? That’s right. 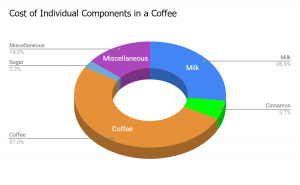 We made this into a pie chart of components in a cup of cappuccino to go with the coffee. Why is coffee priced so exorbitantly in a cafe? Interestingly, the real value added by cafes is not in the coffee itself, but in the ambience, presentation and experience they provide. Employees, electricity, water, plush furniture and luxurious interiors cost money, not to mention the profit margins of the business owner, which add significantly to the price. It is no surprise that businesses claim they aren’t in the coffee business but rather in the experience business. How much do you save from DIY coffee? If you’re up for just the coffee alone, it makes more sense to DIY. Replacing a single cup of coffee, every week, with a cheaper alternative can reduce your expenditure by up to SGD 220 in the course of a year. Anyone willing to substitute their lunch coffee can save close to SGD 1500 in a year. Once again we did some maths to see how much you can save based on your drinking frequency. Your addiction could cost you more than you think. Conversely, managing that addiction properly can leave you not just happy and productive, but not broke as well. 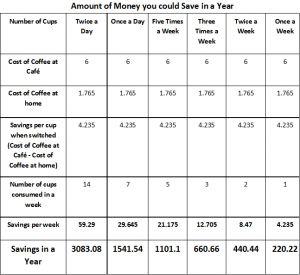 To put into perspective, even if you drink coffee once a day, you’d be saving more than SGD1,500 per year if you DIY it. Astonishingly, the figures become even more pronounced once we take into account the impact these expenses have in the long term. 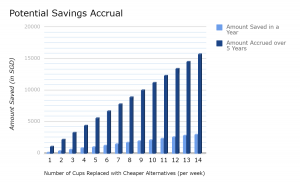 Replacing just one coffee a day, with a cheaper alternative can, potentially, save you around SGD 7,700 over the course of five years. While, it’s certainly difficult to avoid every coffee date, being mindful of the impact of small expenses on your budget can have a huge impact on your spending and saving habits. After all, the devil is in the details. Chances are, when you graduated from school, you were not prepared for the working world nor handling your personal finance. Question 1: Suppose you have some money. Is it safer to put your money into one business or investment, or into multiple businesses or investments? What it tests: risk diversification. Correct answer: multiple businesses or investments. Reason: As the popular saying goes, it’s not good to put all your eggs in one basket lest that basket falls and breaks all your eggs. Intuitively speaking, if you spread your money across different businesses or investments you’d have more buffer against badly performing businesses or investments. Question 2: Suppose over the next 10 years the prices of the things you buy double. If your income also doubles, will you be able to buy less than you can buy today, the same as you can buy today, or more than you can buy today? Correct answer: the same as you can buy today. Reason: Surprise, surprise! Why is this so? Assuming you earn $10 today, and that bread you love costs $10 as well. It goes that you can (unfortunately) only buy one. Ten years on, for the same work you earned $20. However, the cost of that bread you love doubled as well to $20. That means, you’d still only be able to buy one of that bread. Such is inflation. Question 3: Suppose you need to borrow $100. Which is the lower amount to pay back: $105 or $100 + 3% interest? What it tests: understanding simple interest rate. Reason: $100 + 3% = $103…which is less than $105. Reason: As the urban legend goes, Albert Einstein is said to have declared compound interest as one of the world’s greatest inventions. While the story sounds a bit unreal, the power of compound interest is anything but. It is the force behind both struggling credit card owners and successful investors. Question 5: Suppose you had 100 dollars in a savings account and the bank adds 10 percent per year to the account. How much money would you have in the account after five years if you did not remove any money from the account? Reason: In the first year, you’d get $10 (10%) for a total of $110, and in the second you’d get $11.10 (10% of $110) for a total of $121.10. At the end of five years, you’d have $161.50 at the end of five years. That’s all folks! I hope you all got 5/5 for this. 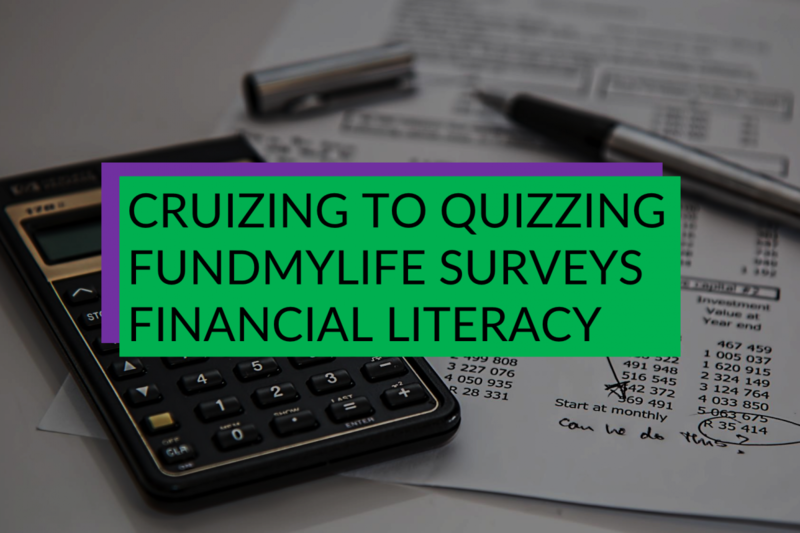 The results of this personal finance quiz is more or less consistent with what’s published in the recent years regarding Singaporeans’ level of financial literacy. We understand that it’s quite daunting to figure things out by yourself so why not get hassle-free financial advice from our pool of curated FAs on fundMyLife! Don’t worry if you found the personal finance quiz a little too hard for your liking. We will be conducting a simple workshop on financial literacy soon so like us on our Facebook page!